From the ballroom to the Brit Awards, Arlene Phillips CBE has been a trailblazer in choreographing for popular dance genres for over 40 years. 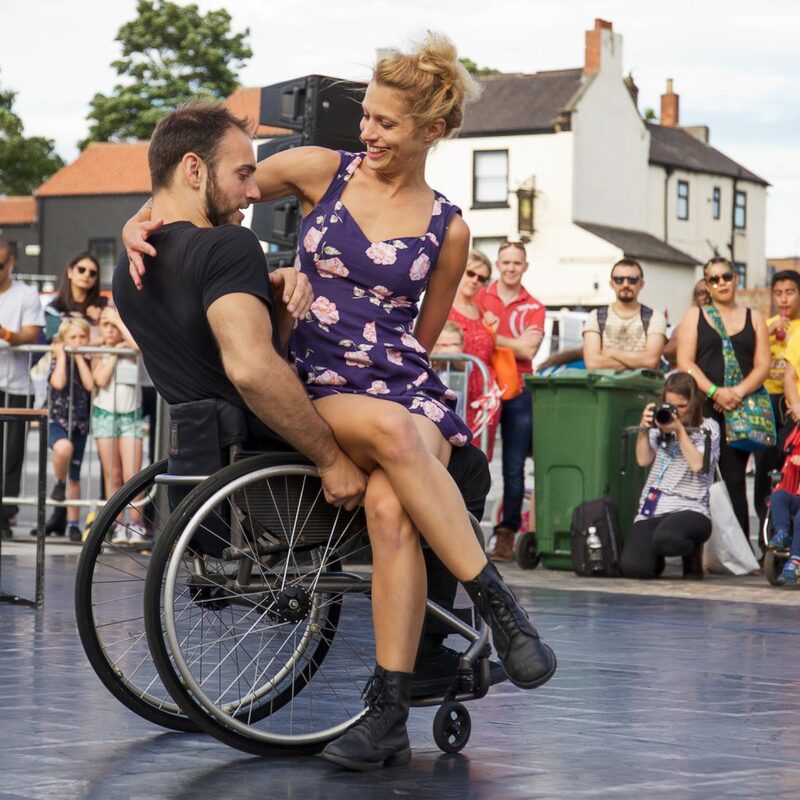 Candoco Dance Company, the company of disabled and non-disabled dancers, is delighted to have commissioned Phillips to collaborate with Candoco dancers, Joel Brown and Laura Patay in a new piece that seeks to play with and disrupt the structure of the traditional love duet. Drawing on dance genres as various as ballroom or the choreographed music video the piece is set to be a potent and emotive exploration of how we fall in and out of love over and over again, often with the same person. Candoco Dance Company is the company of disabled and non-disabled dancers. Candoco creates excellent and profound experiences for audiences and participants that excite, challenge and broaden perceptions of art and ability. This new collaboration will see Candoco work with celebrated choreographer Arlene Phillips CBE to create a brand new duet on two of Candoco’s dancers, Joel Brown and Laura Patay. Joel is a dancer and singer/songwriter from the United States and former dancer with AXIS Dance Company. Laura grew up in France and trained at the Lyon Conservatory and at the EPSE Danse School in Montpellier. Commissioned by Without Walls, Greenwich+Docklands International Festival, Stockton International Riverside Festival and Ageas Salisbury International Arts Festival. You and I know by Candoco Dance Company is currently available for touring. Please contact the company directly for details of availability, technical requirements and costs.